If your heart will never be complete without your sweetheart, this is the gift to give! 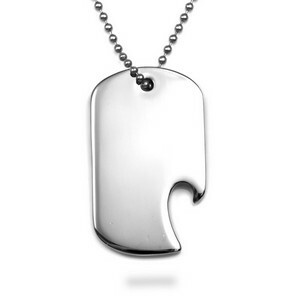 Engrave a personalized message, monogram, or symbol on the front or back. 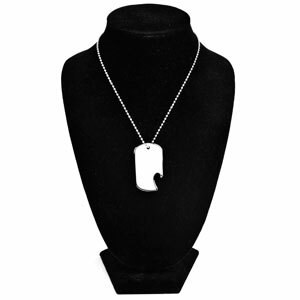 The stainless steel dog tag doubles as a bottle opener, so let the good times roll! Choose a complimentary 24 inch, 27 inch, or 30 inch ball chain.